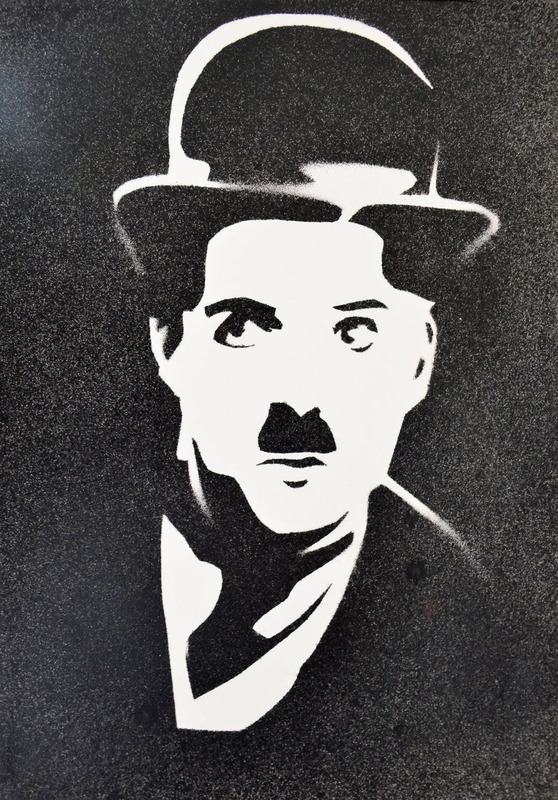 Portrait realized how famous Charlie Chaplin stencil. Spray paint. Black and white colors. Size A4 (21cm x 29.7 cm).